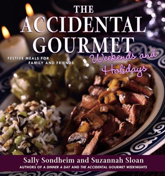 Sally Sondheim, together with Suzannah Sloan, has written three books - A Dinner a Day: Complete Meals in Minutes for Every Weeknight of the Year (1996), The Accidental Gourmet (2002) and The Accidental Gourmet Weekends and Holidays: Festive Meals for Family and Friends (2003). 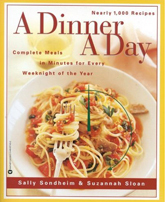 All three books are useful guides for the busy home-cook. 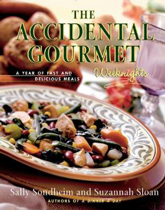 The dishes, with titles like Rambunctious Ravioli Soup, Boisterous Bread, and Disorderly Dessert, are easy to make and use only ingredients available at mainstream grocery stores.